Home/ Blogging /Why is Google AdSense Rejecting our Requests ? Why is Google AdSense Rejecting our Requests ? Aaj main aap logo ke liye Bahut hi Intresting topic Lekar aaya hu Ki (Why is Google AdSense Rejecting our Requests ?) 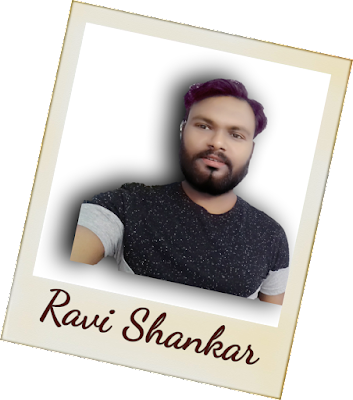 Google Adsense Humara Request Kyu Reject Kar deta hai.Aaj main isi ke baare mein is post mein aapko bataunga to Please Dhyan se is post ko read kariyega kyunki ye Jaankari aapko hona zaroori hai agar aap ek Blogger Ya YouTuber ho to. Google Adsense ka kahna hai ki aap Genuine aur Quality Contants Laiye hum Approve kar denge. Genuine Contants se matlab hai ki aapke Blog ya Channel pe Kisi bhi tarah ki koi Copyrighted Chizein nahi honi chahiye.Aur apka contant aisa hona chahiye ki har kisi ke use ya fayde mein aa sake .Google Adsense ke Term & Condition ke baare me main ek post likhi hai aap chahein to usko bhi Read kar sakte ho.Us Post mein maine Kafi Detail mein bataya hai ki Adsense Kaise Work karta hai .Lekin Phir bhi main Zaroori Topic apko bata deta hu ki apko kya kya Chizein karni chahiye aur kya kya chizein nahi karni chahiye. Apka Aplication Reject Hone ka Karan. Aapke Blog pe koi Copyright Contents nahi honi chahiye. Apke Blog ka page Load achcha hona chahiye. Jo Theme aap use kar rahe ho usko Responsive hona chahiye. Aur apke blog pe kam se kam 12 se 15 post hone chahiye,Aur har post me kam se kam 600 word se zyada ka article ho. Agar apka Aplication Reject ho gaya hai to aap Dubara se Resubmitt aplication kar sakte hai.Jis karan se Reject hua hai usko Fix karne ke baad.Ab apko agar nahi pata hai ki kis karan se apka Aplicatin Reject hua hai to aap wo mail dekh sakte hai jo Google Adsense ki taraf se aaya hai usme sab Detail diya gaya hai ki kis wajah se aapka aplication reject hua hai.Uske baad us problem ko fix karne ke baad Dubara se apna Aplication Resubmit kar do. Jaisa maine upar bataya ki jab Google Adsense ka Rejecting wala mail aapko aayega to us mail mein sara details diya hoga ki aapka Aplication kis wajah se Reject hua hai,Apko Un Chizo ko thik karke aap dubara se Re-Apply kar sakte ho.Aur agar sab thik rahega to aapka Google Adsense Fully Approve Ho jayega .Best Of Luck. 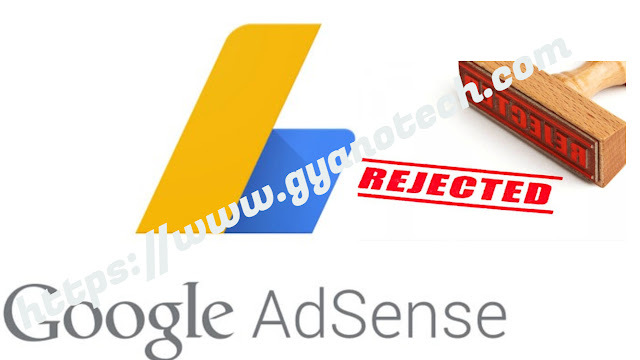 To Dosto ye tha humara aaj ka sabse Importent topic Why is Google AdSense Rejecting our Requests ? I hope ki aap logo ko pasand aayi hogi aur aap logo ke liye Helpful bhi hogi. Main Milta hu Aise hi kisi importent Topic ke saath Tab Tak ke liye Take Care Bye-Bye. Its very helpful for me.Nice Article. We must give the adsense team the impress that our blog/website is capable to gain good revenue in near future. Writing original articles is the first rule we must follow to get accepted by AdSense team. They will reject our application, if they see any copy cat content on our blog. Site does not comply with Google policies: We're unable to approve your AdSense application at this time because your site does not comply with the Google AdSense program policies or adhere to the Webmaster Quality guidelines. It's our goal to provide our advertisers sites that offer rich and meaningful content, receive organic traffic, and allow us to serve well-targeted ads to users. We believe that currently your site does not fulfill this criteria. It’s important for sites displaying Google ads to offer significant value to the user. As a publisher, you must provide unique and relevant content that gives users a reason to visit your site first. Don’t place ads on auto-generated pages or pages with little to no original content. Your site should also provide a good user experience through clear navigation and organization. Users should be able to easily click through your pages and find the information they’re seeking. Iska Matlab ye hai ki apke site pe koi Copyrighted chiz hai .Ya apki site Webmaster tool mein submit nahi hai.